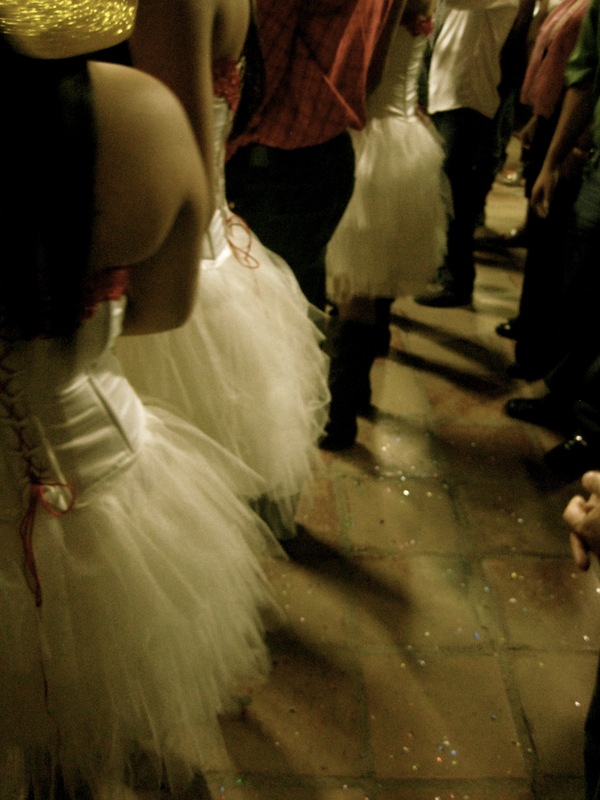 The party of “quince años” (15 years old) is for many young women in Latin America, a big rite of passage. Supposedly, the idea of the celebration is to mark the transition from childhood to young womanhood. Coming from a background of small, family-style birthday gatherings, I wasn’t sure quite what to expect. Perhaps something similar to MTV’s “Sweet 16” reality TV show? Sam and I were invited to the event by a student of ours. The formal invitation said there was to be a Mass, and then a reception party. 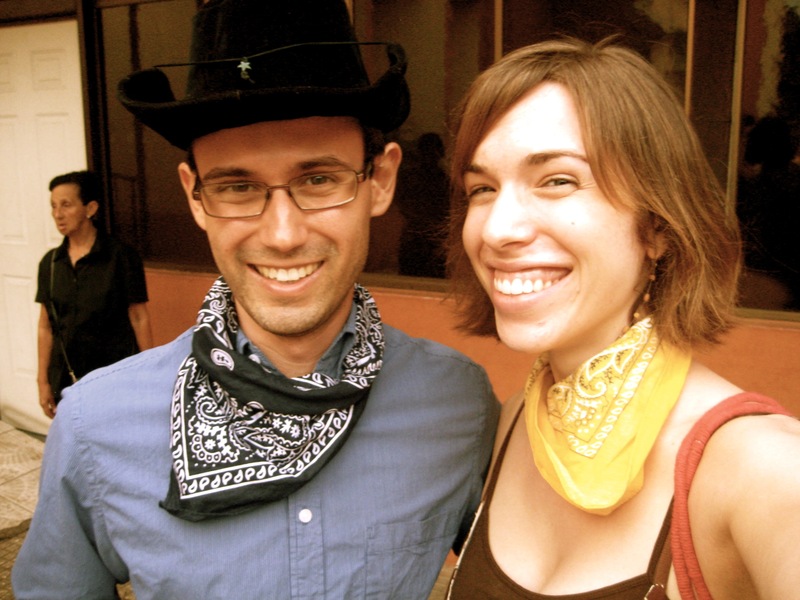 The theme was “cowboy/girl.” Sam and I scrambled together outfits, bought the quinceañera a present (on registry), and attended the Thanksgiving Mass. 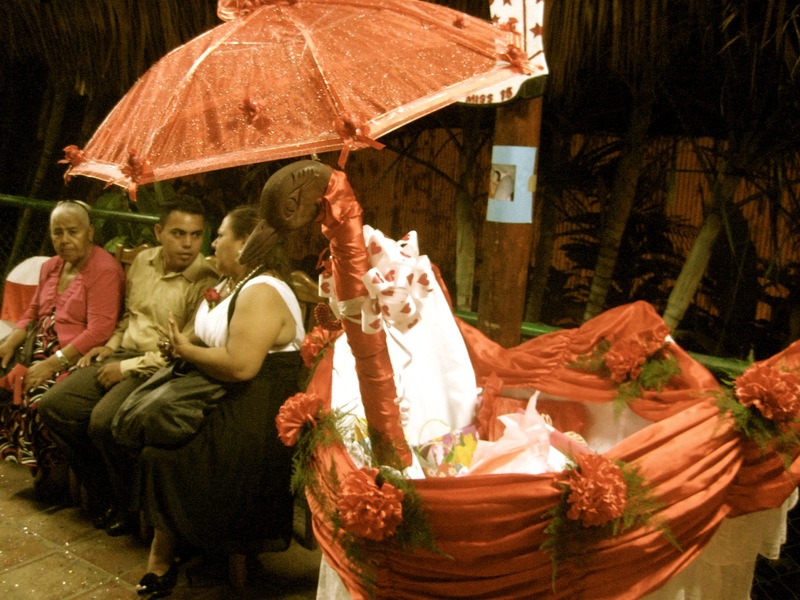 Afterwards, the quinceañera filed outside (the traditional presentation), followed by her court of honor–in similar style to a wedding. After being escorted in a car to the nearby reception spot, we realized that, in usual North American style, we were early. Two hours later, the fiesta began: a grand entrance, smoke machines, a live band, a catered buffet, waltzes, and a choreographed dance performed by the quinceañera and her friends. We had to leave before the cake and general dancing began, but it certainly gave us a view into an elite, and entirely unforgettable, event. 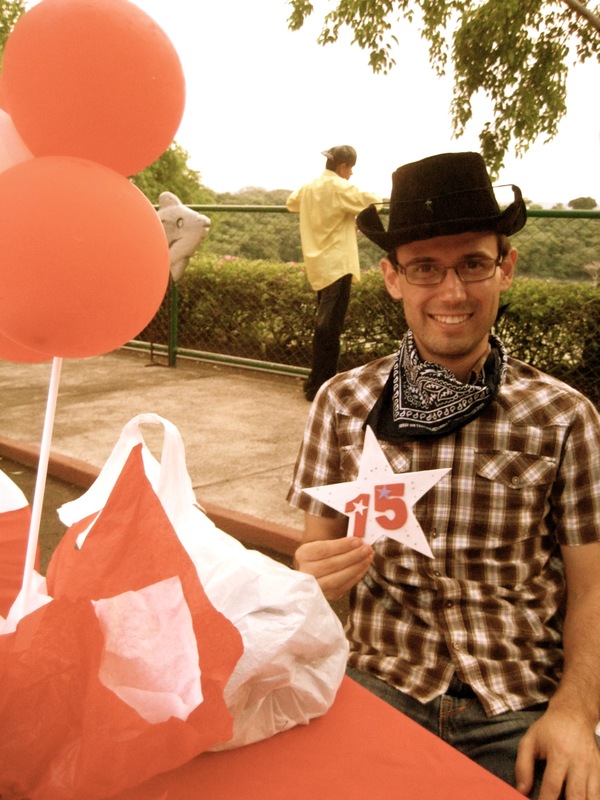 Anyone else have Fiesta de Quinceaños stories? A swan-shaped basket holds gifts. 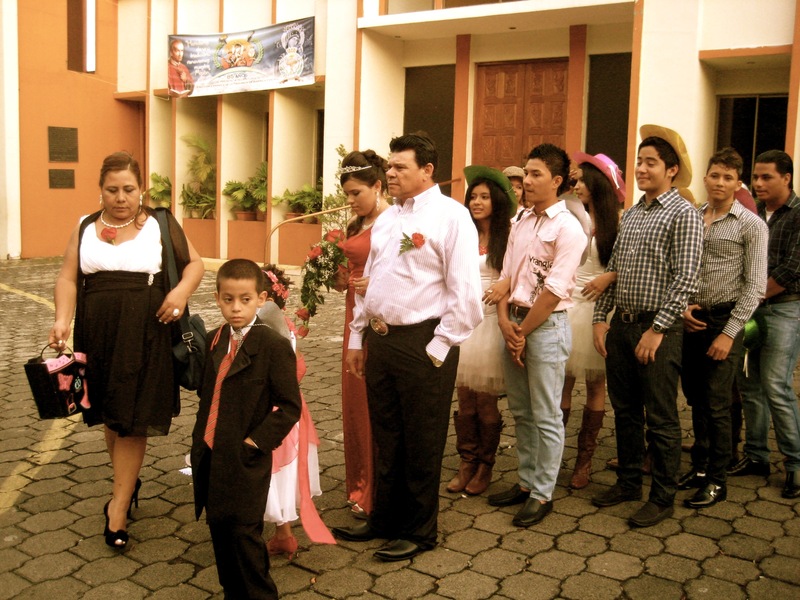 This entry was posted in Uncategorized and tagged Fiesta de Quince Años, fifteenth birthday, Latin American parties, Managua, Nicaragua, party, quinceaños by bataholavolunteers. Bookmark the permalink.